My question this week is inspired by my love of reading. What are you currently reading? Any suggestions on new books are always welcome! If you have no clue what I am talking about, hide your head in shame (j/k). Seriously, Stephenie Meyer’s books Twilight, New Moon, Eclipse, and now Breaking Dawn are Young Adult best sellers that are flying off the shelves like crazy to adults and teens. Last summer when I was busy nursing my then infant son I wanted something else to read after finish up the last Harry Potter book. I kept reading about the Twilight books and people going crazy about Bella, Edward and Jacob. I cringed when I heard that the premise was a vampire story. Still, I gave it a shot and was instantly sucked into the story line. Meyer does an amazing job telling her story and making you believe in her characters. So thanks to Laura, I now have her copy of Breaking Dawn and am anxiously reading every second I can. After that I hope to listen to my first adult book on CD. I am waiting to "read" The Host by Meyer so I can multitask. I tried reading this and just could not stay with it thanks to the set up. I have heard once into the book it goes quickly. In addition to this, NHL and I are in the middle of book #6 in the Magic Tree House books (Afternoon on the Amazon). If you have never read this series, I highly recommend them. Mary Pope Osborne does an amazing job mixing history, science, geography and other goodies into these beginner chapter book. They are also great to keep kids and adults interested in what happens to Jack and Annie. FYI – there are already 39 of these magical books. I am cureently reading Dough, A Memoir, by Mort Zachter. Got it through a book club so we shall see. 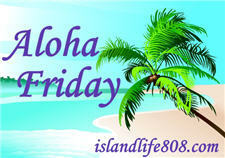 Stop by my Aloha Friday and answer a bare all question! The Manning Sisters by Debbie Macomber. I’m holding off on the Stephanie Meyers series until winter and I’ll read them all back to back. I am reading Boundaries by Dr. Henry Cloud & Dr. John Townsend. Currently reading Scott Kelby’s Digital Photography Book. I want my photography skills to improve. I’m 40 pages from the end of “World War Z”, about a zombie war. It’s ok, not as good as I’d hoped. It’s done documentary style so there’s absolutely no character development which is a bit odd. After I finish that I’ll be starting The Omnivore’s Dilemma. Alex and I are reading James and the Giant Peach, and then will start book 20 of the Magic Treehouse series, which we also enjoy immensely (and they’re fast reads!). Right now I’m in the middle of reading Lost in a Good Book by Jasper Fforde – it’s the second book in the Thursday Next series (the first one was The Eyre Affair) and I am LOVING it – it’s like this amazing combination of “alternate universe” love story total book-lover bad assed crime fighting… gah I can’t even do it justice but yeah it’s awesome. But the books are so complex they just take awhile to read even when it’s amazing because he packs so much into one story. So I’ve got Breaking Dawn sitting on my bookshelf waiting patiently, knowing that I’ll have to read Pride and Prejudice for the Classics Bookclub before I can read it – thinking at this rate it may have to be my “vacation” book next month once Pride and Prejudice and Lost in a Good Book are done. I just finished Nicholas Spark’s new book, The Choice. I’m not a NS fan (usually), but I enjoyed this one. Both Josh and Marissa love reading the Magic Tree House series. What fun adventures, Jack and Annie will go on next?! I’m in the middle of reading J. Evanovich’s ‘Metro Girl’. Usually I can’t put her books down, but with school starting, I’ve only been able to read, while I wait to pick Marissa up from school. i’m bad I can’t suggest anything. I haven’t read a book in a long time. OMG! Last night I just *finished* reading Breaking Dawn. I loved it and I think you will too. I don’t know why they say her books are for “young adults.” To me the only part of the Twilight series that is teenaged is the fact that Bella is in high-school. Love love love all her books. Have you read The Host yet? That was the first book I read by her and I was hooked from there. I finished it in just 2 days. I even got up in the middle of the night to read more. lol. Thomas thought I had lost my mind. Oops. I got so excited about you reading Breaking Dawn that I didn’t wait to finish reading your post to make my comment. It is a tiny bit hard to get into The Host if you have a lot of distractions. I was able to start it on a day when the kids were at my mom’s, then I just kind of ignored them for two days (j/k). I’m currently reading Can You Keep a Secret? by Sophie Kinsella for the second time! I’ll start reading Breaking Dawn today. It just arrived in the mail.